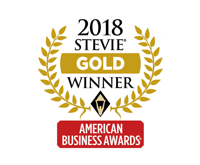 Cel-FI QUATRA won the People’s Choice Stevie Award for its innovative Active DAS Hybrid solution in the Stevie awards at the 16th Annual American Business Awards. 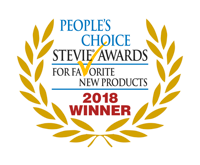 The People’s Choice Stevie Awards recognize favorite new products and services, as voted by the general public. The Cel-Fi QUATRA won the prestigious Gold Award for the best product or service in the Telecommunications category. 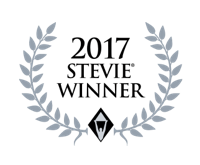 The Stevie (nicknamed for the Greek word meaning “crowned”) was selected by the 200-plus global professionals who participated in the judging process. 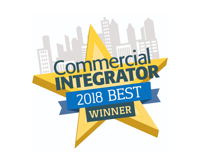 The Cel-Fi GO Smart Signal Booster won the 2018 Commercial Integrator BEST Award. 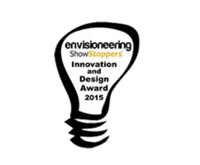 The innovative cellular coverage solution was selected by industry experts, integrators, and editors of Commercial Integrator as the winner in the Building Enhancements category for Cell Signal Booster Solutions. 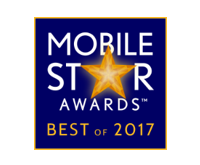 Cel-Fi QUATRA Active DAS Hybrid for enterprise in-building cellular coverage has been recognized as the “Best of 2017” in the Enterprise Wireless Coverage category of the 16th Annual Mobile Star Awards™ program, hosted by the mobile events and news site MobileVillage.com. 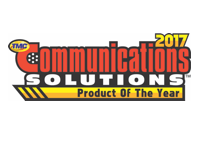 The Cel-Fi QUATRA implementation at 2-1-1 San Diego was also named the “Best of 2017” Customer Success Story in the Wireless Coverage category. 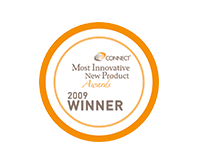 Cel-Fi GO took top honors in CONNECT’s 30th annual Most Innovative New Product Awards, in the Information Communication Technologies category. 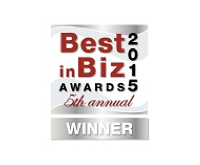 Cel-Fi QUATRA has been named a Silver winner in the Most Innovative Product of the Year – Enterprise category in Best in Biz Awards! Prominent editors and reporters recognized Cel-Fi QUATRA for its ability to deliver uniform in-building cellular coverage for the middleprise. 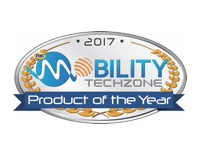 Cel-Fi GO has been recognized as a 2017 Mobility Tech Zone Product of the Year Award winner. Presented by TMC’s Mobility Tech Zone web site, the award honors innovations and advancements in wireless technology. 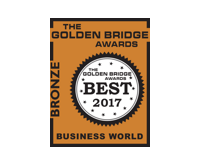 Cel-Fi GO has been named the Bronze winner in the New Product and Service – Telecommunications category in the coveted Golden Bridge Awards. TMC has recognized the Cel-Fi QUATRA in-building enterprise cellular system with a 2017 Communications Solutions Product of the Year Award, further validating Cel-Fi QUATRA as an efficient, cost-effective solution for the small to mid-sized enterprise market. The Cel-Fi QUATRA in-building enterprise cellular system has won the 2017 Commercial Integrator BEST award, taking the top prize in its category. The annual awards recognize products and services that have a positive impact on commercial integrators’ businesses. Recipients are selected by a panel of industry experts, integrators, and editors of Commercial Integrator. 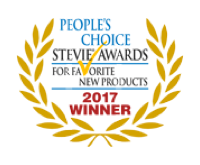 More than 38,000 votes were cast in the People’s Choice Stevie Awards for Favorite New Products in the 2017 American Business Awards. 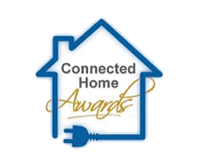 We’re thrilled that Cel-Fi GO has won the award in the Telecommunications category! 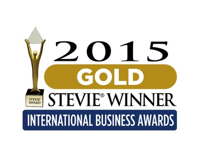 Cel-Fi GO was named the winner of a Silver Stevie Award in the 15th Annual American Business Awards. The American Business Awards are the nation’s premier business awards program. More than 190 professionals worldwide participated in the judging process to select the winners. The Cel-Fi GO Smart Signal Booster earned a top spot in the 10th annual CTIA Emerging Technology (E-Tech) Awards! Announced at CTIA Super Mobility 2016 in Las Vegas, the CTIA E-Tech Awards recognize excellence in mobile products and services that transform networks, businesses, smart cities, and connected consumers. 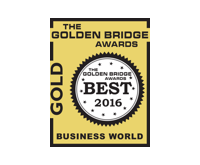 The Cel-Fi DUO+ Smart Signal Booster has been named a Gold winner in the Golden Bridge Awards Engineering and Technology category. The coveted annual Golden Bridge Awards program recognizes the world’s best in a number of different categories, attracting nominations from organizations all over the world, across every major industry. 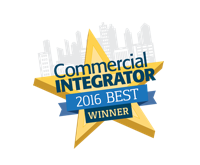 The Cel-Fi DUO+ Smart Signal Booster won the 2016 Commercial Integrator BEST award in the Building Enhancements category, taking the top prize for Cell Signal Booster Solutions. The annual awards recognize products and services that have a positive impact on commercial integrators’ businesses. Nextivity was ranked no. 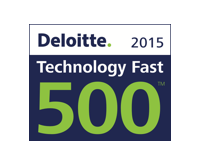 157 on Deloitte’s Technology Fast 500, a list of the 500 fastest growing technology, media, telecommunications, life sciences, and energy tech companies in North America. Nextivity grew 533% during the eligibility period of 2011 to 2014. Cel-Fi DUO was named a Silver winner in the 10th Annual 2015 IT World Awards in the Mobile and Wireless Solutions Category. These industry and peer awards from Network Products Guide are the world’s premier information technology awards honoring achievements and recognitions in every facet of the IT industry. 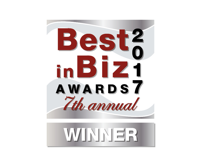 Nextivity has been named a Silver winner in the Fastest-Growing Company of the Year category in the Best in Biz Awards, the only independent business awards program judged by members of the press and industry analysts. Cel-Fi DUO has been recognized as a finalist in the Annual 2015 Golden Bridge Awards, in the category of Innovations in Technology. The coveted annual Golden Bridge Awards program is a peer- and industry-recognition program that honors the world’s best in a number of business categories. Nextivity won the Gold Stevie Award in the Fastest-Growing Company of the Year in Canada and the U.S.A. category in the 12th Annual International Business Awards, the world’s premier business awards program. Stevie Award winners were determined by the average scores of more than 200 executives worldwide who participated in the judging. 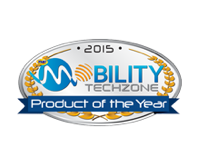 Nextivity Inc. announced today that TMC, a global, integrated media company, has named Cel-Fi DUO as a 2015 Mobility Tech Zone Product of the Year Award winner. The awards are presented by TMC’s Mobility Tech Zone. The Mobility Tech Zone Product of the Year Award honors the development of technologies geared toward the evolution of a 4G, all IP, wireless network, including products, services, architecture and infrastructure, delivery, and applications. Envisioneering’s team include inventors, marketers, researchers and designers whose skills at recognizing innovation in all its forms attract thousands of news media and TV quotes and interviews each year. 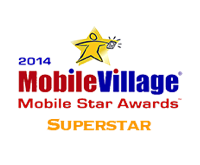 Cel-Fi was awarded the 2014 Mobile Star Awards program. To achieve Superstar status a product must win in all three categories: Wireless Network Coverage, Operator Solutions: Wireless Coverage, and Wireless Network Success Story. The awards are hosted annually by the mobile technology news and directory site MobileVillage.com with the winners chosen by more than 10,000 readers. 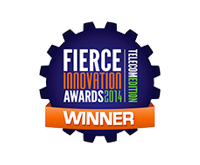 FierceMarkets announced the 2014 winners of its third annual Fierce Innovation Awards: Telecom Edition. The Fierce Innovation Awards is an operator-reviewed awards program from the publishers of FierceWireless, FierceTelecom, and FierceCable. The Fierce Innovation Award Winner for Cell Sites and associated equipment we the Cel-Fi Duo from Nextivity. 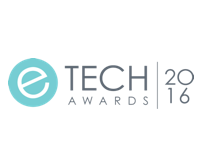 The E-Tech Awards winners represent the most innovative emerging mobile services, solutions and technology from areas such as the cloud, network equipment, M2M and the Internet of Things. More than 50 industry experts, analysts and media examined and scored the nearly 300 entries across CTIA’s three programs to determine the finalists and winners, but the Cel-Fi Pro by Nextivity, the “Crowd Favorite,” represents the favorite product of Super Mobility Week attendees and online users. 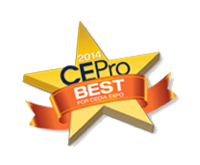 CE Pro Announces Winners of 6th Annual BEST Awards to recognize the most noteworthy new products and technologies for 2014, which were presented at CEDIA Expo 2014 CE Pro is pleased to announce the winners of the 2014 CE Pro BEST (Best Electronic Systems Technologies) Awards, recognizing the most noteworthy new products and technologies for 2014 Nextivity was honored in the category: Digital Phone System/Dedicated Intercom/Cellular Signal Booster, for the Cel-Fi PRO product. The Nextivity Cel-Fi Product line was acknowledged with Shining Star Award. These awards honor both industry-leading mobile products and cutting-edge new solutions. 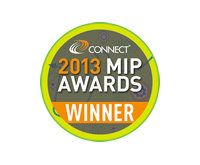 Nextivity’s Cel-Fi Smart Signal Booster was chosen to receive the Most Innovative New Product (MIP) Award in the Hardware and General Technology category at the 2013 CONNECT MIP Awards ceremony. In its 26th year, the annual awards program continues its tradition of honoring San Diego’s leaders of innovation and groundbreaking new products launched in the last year. Nextivity is pleased to be selected as one of the top 50 in the TIE 2012 Top Startups awards. TiE the world’s largest entrepreneurial organization has a reputation of honoring only the most enterprising companies. We are extremely honored to have been selected from among the thousands of applicants review. 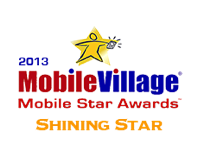 Nextivity was selected as one of 10 companies in the Mobile category. 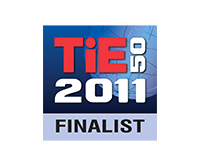 Nextivity announced today (October 1, 2011) that it have been selected as a finalist in the Communication Products and Services Category for the upcoming 18th Annual TechAmerica High Tech Awards. 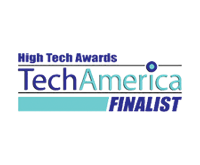 As the leading voice representing the U.S. technology industry, TechAmerica takes pride in recognizing outstanding regional companies every year at its annual awards ceremony. Nextivity has been named the winner for the “Best Enabling Product/Technology for the Connected Home” in the awards portion of the Connected Home Global Summit which took place in London on May 24th-26th, 2011. 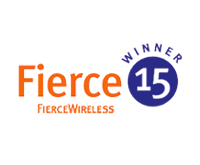 Nextivity has been named as one of the Top 15 Companies of 2009 in the FierceWireless, Fierce 15. FierceWireless is the wireless industry’s daily monitor. Senior wireless industry executives rely on FierceWireless for breaking news on carriers & operators, the latest developments in wireless security and technology, and updates on wireless industry deals & investments. 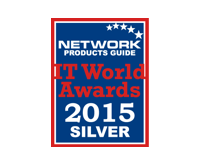 Nextivity was honored as a finalist in the ’Network Infrastructure – In-Building/Local Area Network Solution’ category. 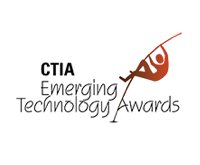 The CTIA Emerging Technology Awards program is designed to give industry recognition and exposure to the best wireless products and services in the areas of Consumer, Enterprise and Network technology. Products were judged by a panel of industry analysts, media and executives on their innovation, functionality, technological importance, implementation and overall ’wow’ factor. Nextivity was honored as a finalist for the 2009 “Red Herring 100 North America” award, a prestigious list honoring this year’s most promising private technology ventures in North America. 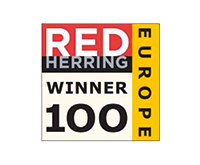 The Red Herring editorial team used an intensely competitive process to select the most innovative companies from a pool of 1,200, leaving 200 finalists vying for this prestigious award. The nominees are rigidly evaluated on both quantitative and qualitative criteria, such as financial performance, technology innovation, quality of management, execution of strategy, and integration into their ecosystem. 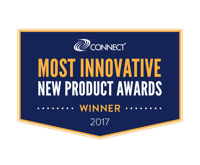 Cel-Fi has been chosen as the winner in the “Communications and IT” category of the CONNECT Most Innovative Product Awards. CONNECT is one of the most successful regional economic development programs for high technology and life science innovators in North America. The MIP Award winners were selected from 100 entries representing a broad range of companies within eight categories: action and sport, aerospace and security, cleantech, diagnostics and research tools, medical products, software, hardware and general technology and communications and IT.